← What if we didn’t have to pay bills? My bias is definitely showing here, but fantasy is tied with almost every other genre for my favorite. Okay, I like almost everything. But with fantasy, action, adventure, phantasmagorical creatures, settings beyond our imagination make for a perfect reading experience. The Hobbit, followed by the Lord of the Rings – by J.R.R Tolkien. 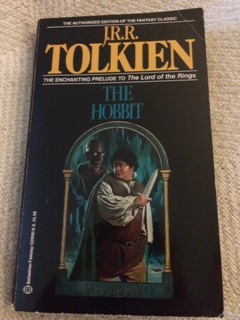 I read The Hobbit in middle school and my love for fantasy was born. I still secretly want to live in the Shire. A Song of Ice and Fire by George R.R Martin. 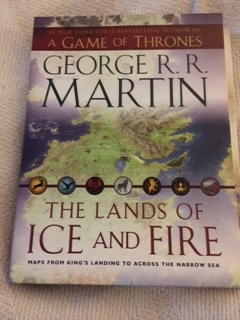 This phenomenal series is better known by the first book Game of Thrones. I started Game of Thrones and basically didn’t sleep for two days. The big question remains WHEN IS THE WINDS OF WINTER GOING TO BE AVAILABLE! One of my favorite series of all times but I don’t secretly want to live in that time period. And, yes, I couldn’t live without the maps. 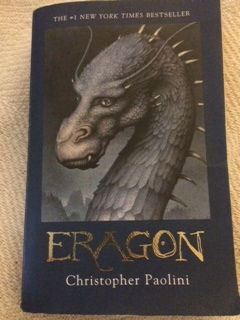 Eragon by Christopher Paolini. This had me hooked from the start (dragons and destiny? A perfect combination) and I can’t believe that he started writing this when he was 15. I have yet to read the next book in the series but it’s on my “to do” list. I don’t secretly want to live there either, but visiting would be fun. 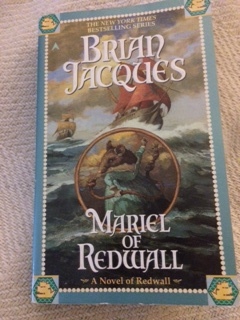 Redwall by Brian Jacques. This is a fascinating series featuring peaceful mice who find themselves having to use their ingenuity to defend their home, Redwood Abbey. One of these mice is Mariel who seeks to defend in Mariel of Redwall. The maps are exceptionally cool because they are from the perspective of the mice, and I’d live there in a heartbeat. The Wheel of Time series by Robert Jordan. I think that I read the first 8 or so of the series and then got hooked on something else. One of my friends was SHOCKED that I stopped there, so the rest are back on my “to do” list. Finding new books and/or series in the fantasy genre is always a highlight for me. I welcome all recommendations, but I just want books. Of the above list, I have only watched the “Lord of the Rings” movie, and I was dragged there kicking and screaming (my husband still remembers the night). And I refuse to watch the Game of Thrones HBO series. My personal opinion is that movies and shows can’t do justice to the books. This entry was posted in books, reading and tagged adventure, authors, blogging, books, eragon, fantasy, Game of Thrones, genres, reading, redwall, series, the hobbit, wheel of time, writing. Bookmark the permalink. Game of Thrones is landmark in fantasy fiction. I’ve had a few problems with the series but over all it is pretty spectacular. The television series is easily one the adaptations ever created. They really get right. I’ve heard others say that, too. But I have the characters and places set in my head and I don’t want to see them looking differently. As I write that it sounds immature, but you know what I mean. Yes I do. Your stance is perfectly understandable. Did you read the 2nd one? I wonder if it’s as good as the first. The 2nd one is even better. But it leaves you with a major cliff hanger. I still haven’t read the other parts though. Ill read it soon, then.